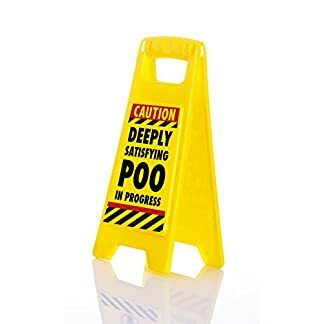 This funny warning sign is a perfect gimmicky accessory for the bathroom, with its opposite designs on each side, this will help avoid any unnecessary embarrassment. 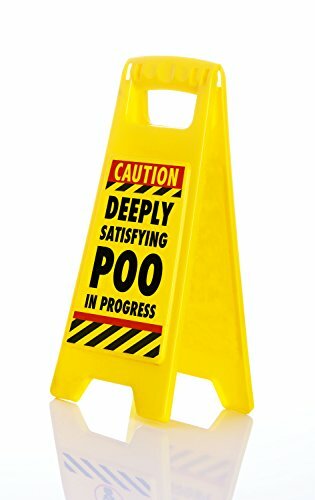 These eye-catching warning sign will be sure to cause a giggle at home or office. 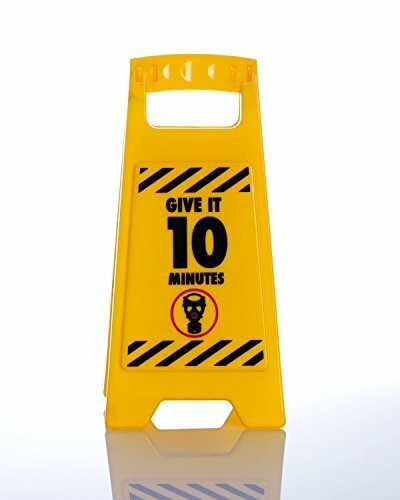 INGREDIENTS: Sodium Bicarbonate, Citric Acid, Parfum, Aqua, CI 17200, CI 19140, Linalool, Alpha-Isomethyl Ionone, Citronellol.